amandus_bjjjbf has no other items for sale. NWT LULAROE lot of 45 items various styles, sizes & designs-AMAZING DEAL!! 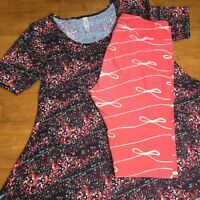 LuLaRoe LOT NEW Amelia, cassie, Shirley And More... Over $260 Value!! !